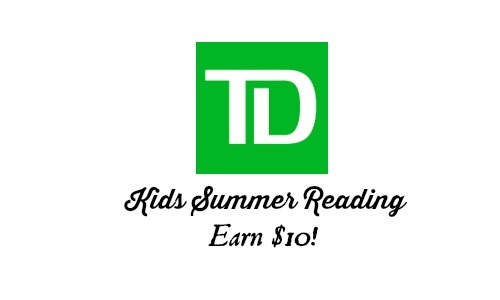 Your kids can earn $10 by participating in the TD Bank Summer Reading Program! All they have to do is read 10 books this summer, write the titles on this form, and take it your local TD Bank. TD will deposit their $10 in your child’s existing or new TD Youth Savers account. Learn more about this great program from TD Bank. Please note that this reading program is for grades K-5 and this offer is limited to one per reader.